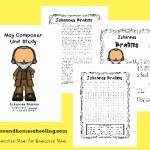 A couple months ago we started new series with monthly composer printables. They have been a HUGE hit so far and I hope you all are enjoying them with your kids. 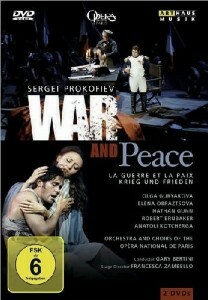 Prokofiev may be one of those composers you don’t remember by name, but you will remember his works. This month I added copywork – early manuscript, manuscript and cursive, bringing the total number of pages to 31 in this month’s pack. If you want more notebooking pages, don’t miss the ones I made back in November. 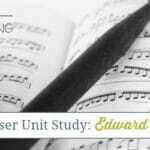 They will work perfectly to study any composer as you go through the month of February. 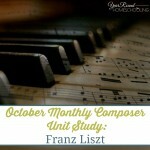 I’ve also gathered some great resources you can use while you’re studying Handel this month. 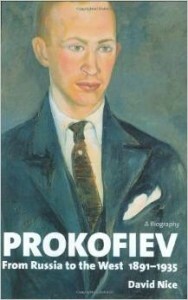 Check out this page FULL of recorded works by Prokofiev. It takes a few clicks to get to the actual songs, but keep going – it’s worth it!! 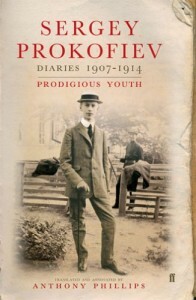 These YouTube videos includes hours of the best of Prokofiev. This would be great to play softly while you’re reading about him or doing other work, as a fun and easy way to introduce it to the kids. 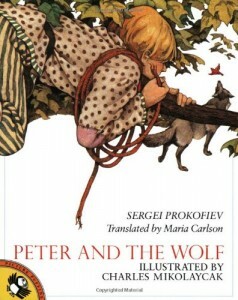 This is a translation of Peter and the Wolf, which is perfect for kids. 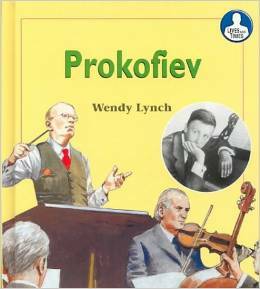 This is a biography of Prokofiev’s life that might be a little much for young readers, but a great resource for older kids. 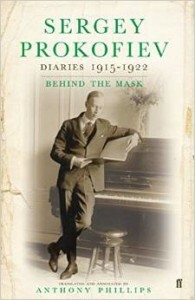 Several books were compiled of Prokofiev’s diary entries. 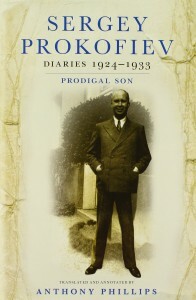 Diaries, 1907-1914: Prodigious Youth, 1915-1923: Behind the Mask and 1924-1933: Prodigal Son. 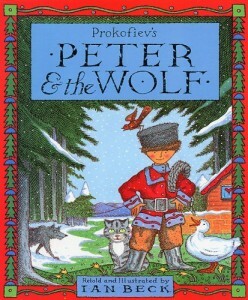 This is another adaptation of Peter and the Wolf, which is a great way to introduce the story to kids. 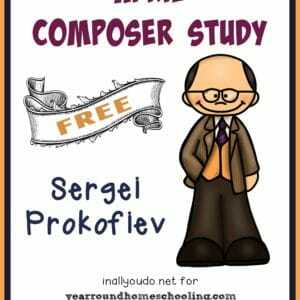 Another story about Sergei Prokofiev for children, which encourages them to think about how we know about each individual that made them famous. 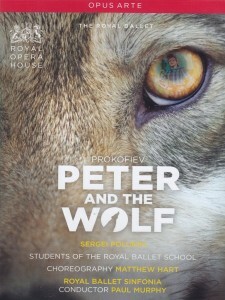 Kids might enjoy this DVD of Peter and the Wolf. 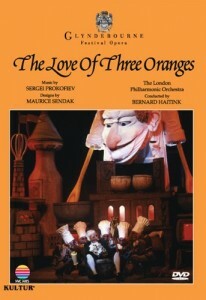 Here is another of Prokofiev’s famous operas – The Love of Three Oranges. This may be a little too deep for young children, but one of his most famous works, War and Peace, would be a great addition to for older kids. 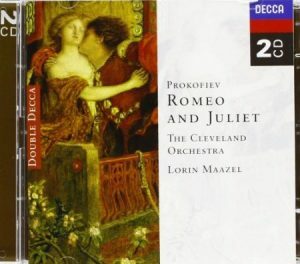 And finally, Romeo and Juliet is a beautifully written opera, and one of my favorites. While this is just a CD, I personally would prefer kids listen to the music without a video to really hear how it moves (musically). **NOTE: I recommend parents screen books and DVD’s before allowing their children to view them. You know your children and what is appropriate for you kids. 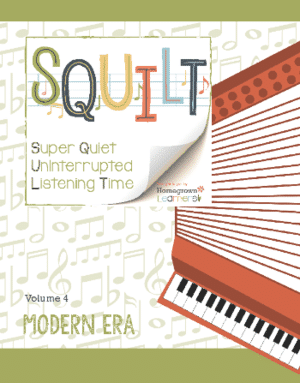 SQUILT is another fantastic way to introduce kids to music and help them fall in love with the classics. Grab the SQUILT: Volume 4: Modern Era and learn more about the period in which Prokofiev composed. Are you ready to get started? 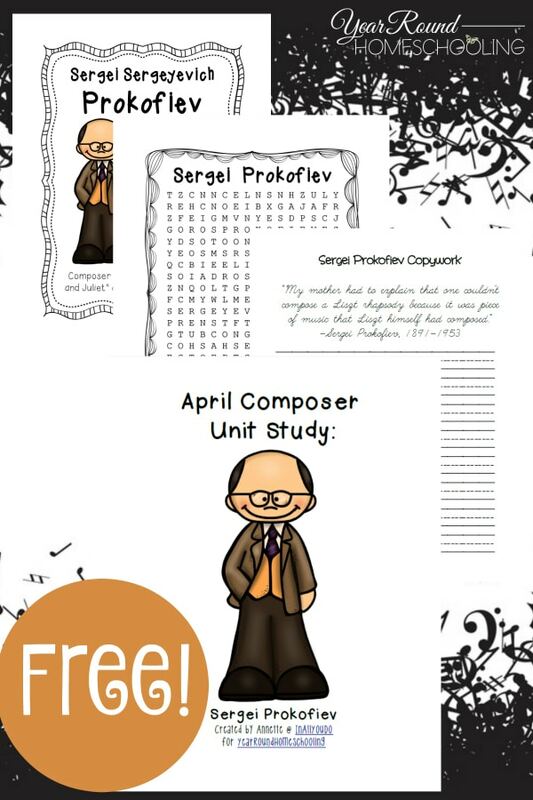 Download the monthly composer printable pack below. Want more ideas? Follow my Homeschool: Music board on Pinterest!! Annette has been married to her husband and best friend for 10 years. Together they are raising their four children to follow the Lord’s will, no matter what. Annette longs for the day when she will meet her 5 angel babies who have entered heaven before her. She enjoys creating FREE PRINTABLES for homeschool families and she gets her scrapbooking fix in by making Subway Art for herself and her readers. You can follow her crazy life at In All You Do where she blogs about homeschooling, gluten- and grain-free recipes (when she cooks), homemaking, the occasional DIY projects and maintaining her sanity. You can also keep up with her via Facebook, Twitter, Google+ and Pinterest. 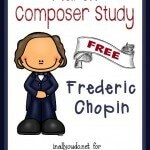 As I was downloading this composer study, I noticed you have this listed for April, although the download says it is the March one. Just thought I’d let you know. All of the composer studies look like they’ll be loads of fun. Thank you for putting them together! Oh my! Thank you! 🙂 It seems to just me an error on the cover page 🙂 we’ll get that updated soon. Thank you again!